Facebook announced in October that the Facebook Preferred Marketing Developer ecosystem was undergoing an overhaul, becoming an objective-focused Facebook Marketing Partner program. That change takes place today. Ad Technology: Scale and optimize Facebook ad campaigns. Media Buying: Find top Facebook media expertise (U.S. only at launch). Facebook Exchange (FBX): Extend the reach of your exchange buys to include Facebook Exchange via our partner DSPs (demand-side platforms). Community Management: Access advanced technology for managing pages and conversations. Content Marketing: Create, curate and serve up content easily. Small Business Solutions: Find a range of services and/or technology tailored for small and locally based businesses. Audience Onboarding: Bring your internal data and audiences onto Facebook. Audience Data Providers: Access external data and put it to use on Facebook. Measurement: Gain critical data and insights across your campaigns. The online heart of the new program is facebookmarketingpartners.com. In addition to providing program information and industry news, it’s home to the newly revamped partner matching tool. With just a few clicks, new users can narrow the directory of partners to the handful that match what they’re trying to do. If you’re looking for a new partner, these changes make it easier to find the right one. But the new program also helps those already working with a partner, providing an easier way to push performance further. Originally, Facebook had a bevy of Preferred Marketing Developers around the world, who had access to Facebook’s API platform and were closer to Facebook’s advertising team. There were also 12 Strategic PMDs, earning a special badge and a deeper level of access. With this announcement, Facebook is striving to keep the partner ecosystem healthy and offer advertisers more clarity about which partner meets their business objectives. Facebook’s announcement offers an improved process for advertisers to search, identify and vet marketing partners and improve the sales process for clients. With the new Facebook Marketing Partners identity, brands can search for marketing partners by vertical and country. This falls in line with Facebook’s objective-focused advertising focused. Facebook’s continued focus on audiences is evident under the new program with the inclusion of first-party and third-party data partners. Facebook has also focused a lot of attention recently on measurement with the announcement of its conversion lift measurement tool. This tool allows advertisers to accurately determine the additional business driven by Facebook advertising to aid future marketing decisions. As you can see, the nine Facebook Marketing Partner specialties create a more cohesive environment for everyone involved in this complex ecosystem, leading to more clarity, more choices and more impact. It’s a positive outcome that is a win-win for all those involved: advertisers, Facebook and partners like Adobe. Facebook has revamped their partner certification program to increase transparency and help marketers make smarter decisions in choosing a technology partner. This will allow Facebook to capture new ad revenue by strengthening relationships with leaders in the space and thereby increasing trust within their ecosystem. For the last eight years, AdRoll has invested in building innovative technology that enables advertisers to engage their customers wherever they go online. The rare distinction of earning two Facebook marketing partner badges is a testament to our ability to develop differentiated and effective solutions that help our customers exceed their advertising goals on Facebook’s ad platform. 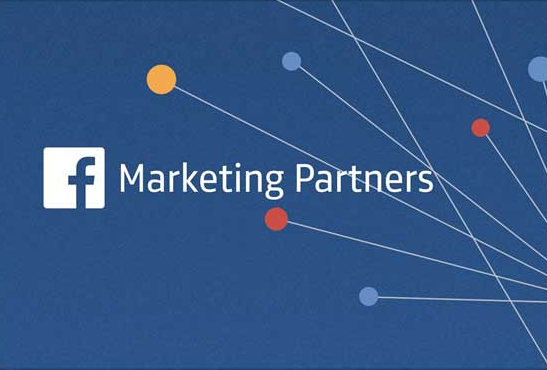 Readers: What do you think of the Facebook Marketing Partners platform? Murray Newlands contributed to this story.